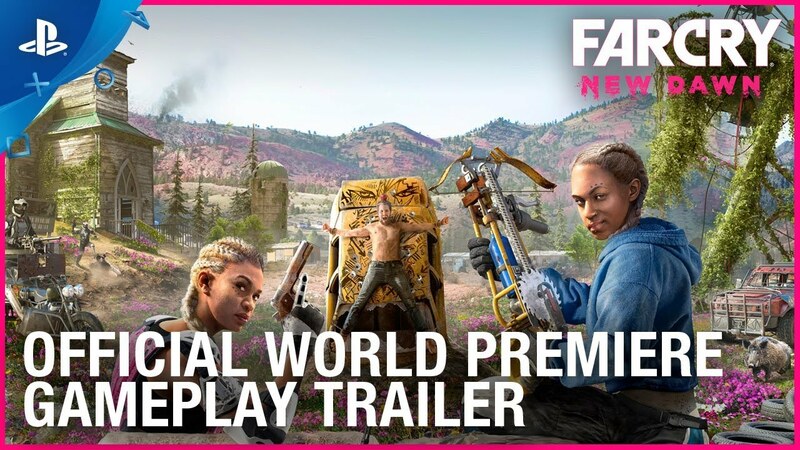 Far Cry New Dawn – the standalone sequel to Far Cry 5 coming to PlayStation 4 on February 15, 2019 – takes us to a world that’s just beginning to emerge from global nuclear destruction. 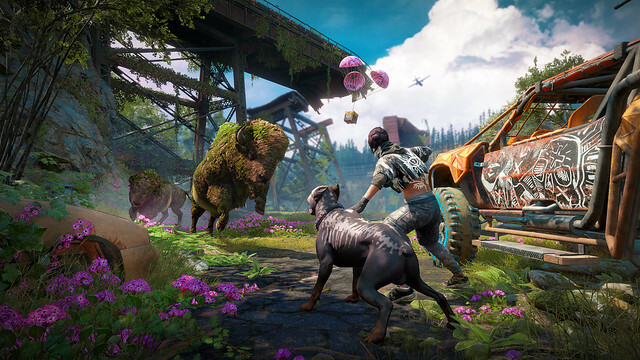 Set 17 years after the catastrophe, Far Cry New Dawn unfolds in a drastically transformed Hope County. Nature has bounced back and taken over, giving way to a brilliantly colorful superbloom phenomenon. Survivors have begun to build a new, makeshift community from the ruins, and you may recognize some of them from Far Cry 5 – like Pastor Jerome. This new world isn’t all wildflowers and hope, though, because the Survivors now face a new threat: the Highwaymen, a roving band of scavengers led by a merciless pair of twin sisters, Mickey and Lou. Building a defense against the Highwaymen will take more than a quick trigger finger. You’ll need to ally with the Survivors, and help them rebuild the Homebase, called Prosperity. The Homebase is also where you’ll be able to craft makeshift weapons and vehicles, and train a new generation of Guns and Fangs for Hire – including Timber, the Akita who may just become your new best friend. You’ll also be able to use it as a launching point for Expeditions, missions that will take you far beyond the borders of Hope County to explore wetlands, canyons, and other new locations around the country. The Expeditions will be different for every playthrough, meaning there’ll be plenty of unpredictable chances to blow stuff up and wreak havoc among your enemies. The battle against The Twins comes to PS4 on February 15, so get ready to cobble together a DIY arsenal and face the new threat. Is this going to be a full priced game, or discounted? This looks so good. Can’t wait to play this!!! Do Far Cry 5 season pass holders get a discount? Agreed. I still have serious buyer’s remorse for the season pass, I 100% hated every addition like Vietnam, Mars, etc. Did not enjoy, did not even finish most of them. And this New Dawn looks like more of the same reskinned stuff. If there’s no discount for that ripoff of a season pass, I’m skipping. No. It is a direct standalone sequel. Not DLC. 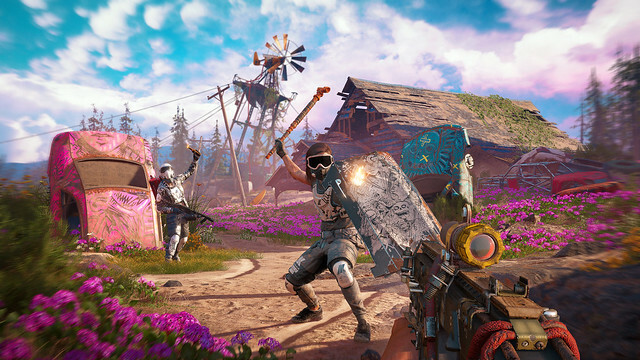 This looks like every other Far Cry game: a re-skinned, re-textured version of the previous one. Don’t see much new here..
Not too eager to jump back into this after the absolute trash that was Far Cry 5’s ending. First time I’ve legit thrown away a game I bought in years. Zero interest in Far Cry New Dawn. Whether it’s the case or not, it certainly appears as if it was content ripped from Far Cry 5. The slight discount ($39.99) convinces me even more. They know it’s not a full game. And don’t tell me this was developed separately from FC 5. If they had released it as a $15 DLC for FC5, Season Pass holders would have felt cheated. So instead in “fairness” they decided to cheat everyone. People should steer clear and not support this kind of shady release. 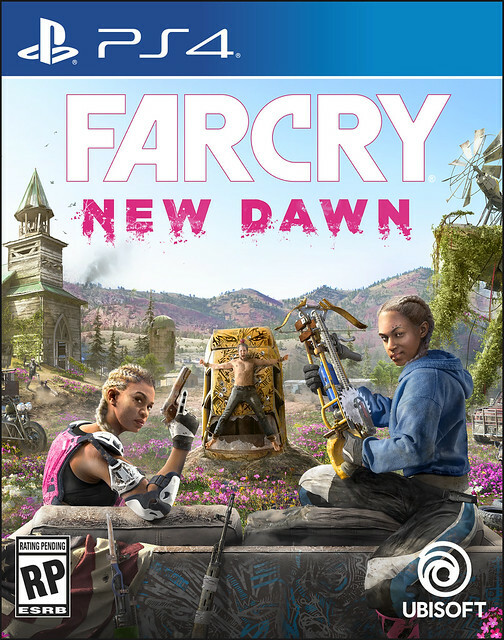 I have lots of interest in Far Cry: New Dawn. Far Cry 5 was awesome and a fun Co-op game. I will be buying it and fully support its release. Fortunately gaming isn’t just for children. They’re not going to censor the game. Parents can see the mature rating and make the decision to not buy it for their children. I understand your concern but that’s why the ESRB/PEGI, etc. rating systems were created. Censorship? I hope you’re joking. No Far Cry game has ever been “safe for children.” In fact, I’d go as far as to say that a large number of games produced each year are not safe for children; but that’s the decision and responsibility of the parent, not the developer or the platform holder. Censorship in countries due to legal or social standards are handled differently because we are not talking bout an entire country’s opinion as to what is acceptable (no Nazi imagery in games released in Germany, for instance) and it’s either alter the product to fit the audience or you can’t sell it there. Amazingly, if you are a parent, you are expected to censor what your child sees based on your assessment of what they can handle and what you deem to be acceptable. That is not anyone else’s job and the sooner more parents actually act like parents, the sooner a lot of the toxicity around gaming will subside. 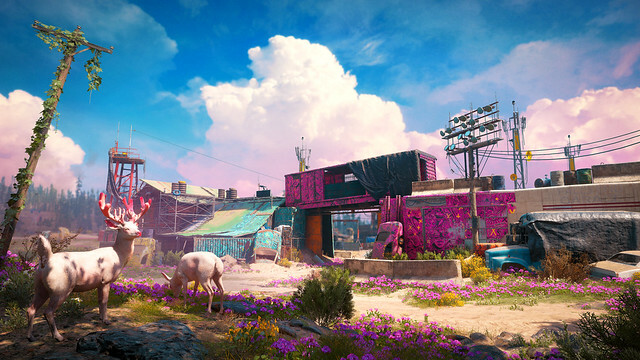 Wow people are quick to hate.Game looks great to me,the trailer was great…I still have a lot of Farcry to play so not paying full price for it of course but nevertheless the game looks good.It’s just lookin too much like Rage 2 lol and spoiling the end of Farcry 5 for those who did not played it like me.But it seems to me that this could be fallout done right. What really bothers me though is the release date…february is way way too soon,Farcry 5 won’t even have a year by that time,come on ubi.